The popular entry level compass SILVA Field has gone through a face-lift with updated colors and updated graphics. SILVA Field is an entry level compass designed to meet the demands of schools, youth groups and leisure outdoor navigators. 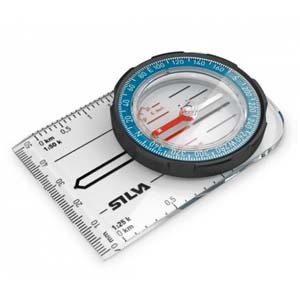 The SILVA Field has base plate map-measuring in mm and scales of 1:50,000 and 1:25,000 compatible with most maps. The compass features DryFlex™ rubber bezel for improved comfort and grip, and a detachable safety-release lanyard - a reliable companion in all situations!